PLATE: VG+. LETTE OVERFLATESTRIPER/HAIRLINES. SPILLER FINT IGJENNOM MED GOD LYDGJENGIVELSE. FLEKK/AVRIV PÅ LABEL. INTAKT SENTER. COVERET HAR INGEN SPLITTER, MEN ER NOE SLITASJEPREGET MED RINGWEAR, SMÅ RIFT VED ÅPNINGEN OG FARGE ETTER TEIP. I TILLEGG ET TALL PÅ FORSIDEN OG ET TUSJMERKE PÅ BAKSIDEN. Parlophone ‎– R 4983. NORGE, 1963. Frakt: Forsendelse med sporing, inkl. i prisen. 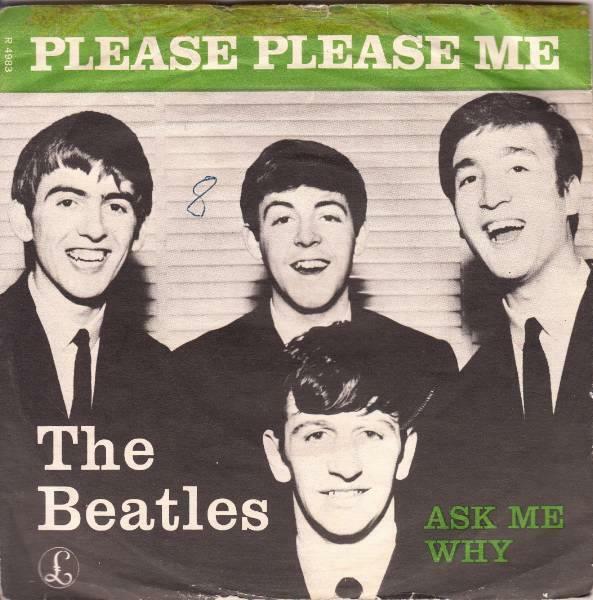 The Beatles ‎– Please Please Me / Ask Me Why - Selges av brylogvinyl fra Oslo.